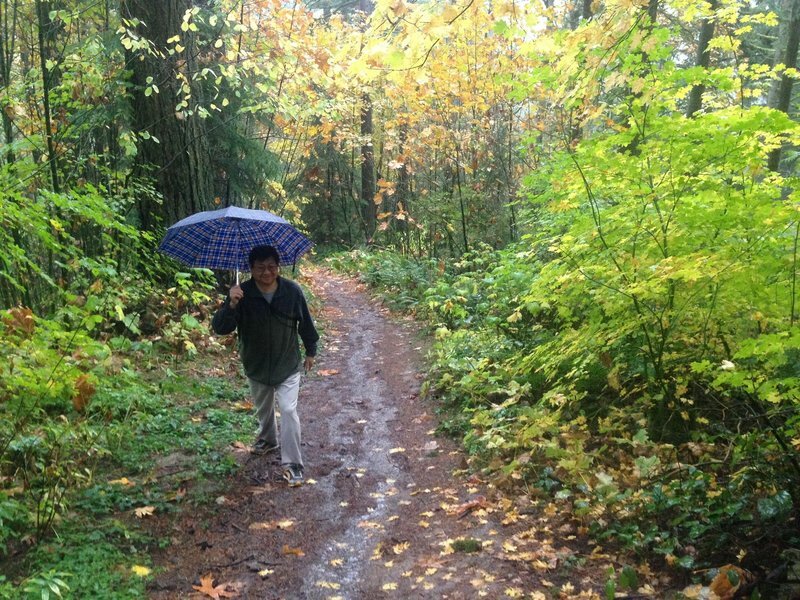 A hiker enjoys a walk in the rain at the point where Fire Lane 2 crosses into a short section of private property near Skyline. There is only room for two or three cars at the side of the road. The trailhead can be difficult to find, but is marked by a double gate in a chain link fence.